Valencia is a city that has a lot to offer; it is the third largest city in Spain and enjoys a humid Mediterranean climate with 300 days of sunshine a year. 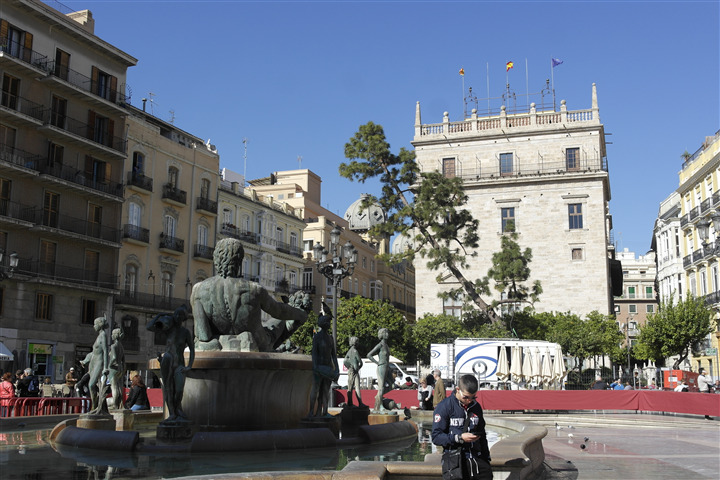 We start to discover Valencia from the historical centre. The monuments not to be missed: Plaza de la Virgen, Ayuntamiento (Town Hall), La Lonja de la Seda (Silk Market), Basilica de los Desemparados (Virgin of the Abandoned - Patron Saint of the city), Iglesia de San Nicolas, Inglesia de San Augustin , Plaza Redonda (Round square used for commerce), Plaza de Toros (bullring, but used also for other events), Torres de Quart, Torres de Serranos, Mercado Central (fundamental stop for lovers of gastronomy), Miguelete (bell tower accessible by climbing 207 steps on foot to then enjoy a spectacular view of the city), Palau de Borgia, Palau de la Generalitat, Universidad de Valencia, La Cattedrale (where is preserved the Holy Chalice that Jesus Christ used during the last dinner). The historical centre is characterized by a convergence of Romanesque, Baroque and Gothic styles. You can visit all in one day, then if you want to visit museums you have to consider one more day. - Ruzafa: is a district that has lately become more and more fashionable, multi-ethnic, with many alternative clubs. 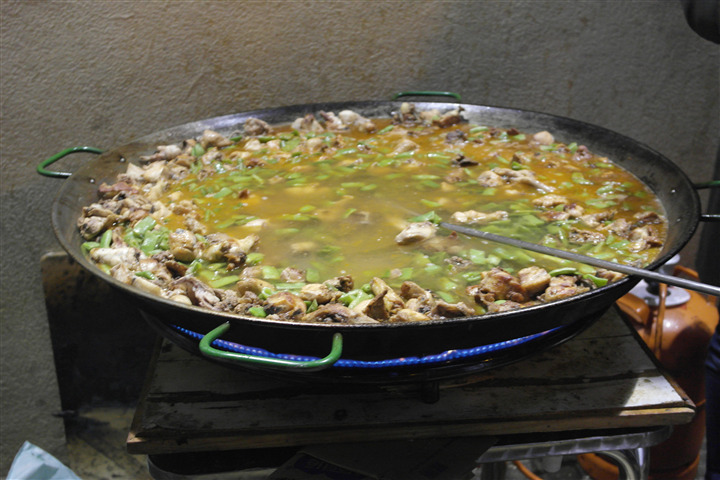 The market of Ruzafa, an indoor market, specialized in the sale of all kinds of food, is also famous. While among my favourite bars I recommend Café Berlin, Ubik, Dulce de Leche, Red Cup, Ubik Cafe. Among the nightclubs: Nylon, Play, Xlarge, Picadilly. - El Carmen: is the district of Valencia historical centre. During the day it is populated by tourists who stroll and shop among various alternative shops; in the evening it is populated by young people frequenting various tapas and beer bars. Also very interesting is the graffiti tour since now many graffiti are on the walls of this district. I recommend Café de las hora to sip the famous Agua de Valencia (Valencian Water): a cocktail made with Cava or champagne, orange juice, vodka and gin. The "Horchata de Chufas" is also famous and available in every bar of the city (a sugary drink made with a tuber called "chufa"). Nightclubs near the city centre: La premier, Indiana, Play club e Nylon Club. - Benimaclet: is a district that was incorporated not many years ago by the city due to its expansion. It is a place frequented mainly by university students. I lived right here, in Calle Reverend Rafael Tramoyeres (with Dora, Natasha and Barbi who took some pictures for me), where every Friday morning the market of Benimaclet takes place: you can find both clothes and stuff for the house. The square of Benimclet is where there are many bars but also a meeting point for many young people. The bars I recommend are Cafe Tulsa, London, Chico Ostra, El Ríncon del Duende, Quinto y Tapa, 100 Montaditos, Acompaña la caña, Tallafocs GastroBar, El Carrabassett and Zyriab Café and, recently opened, La Mosqueta. Every year at the end of May there is the Tapas Festival (snacks served in Spanish cafes along with an aperitif, a glass of wine or a beer) for 2 days where you can eat tapas of all kinds. Not far from Benimaclet is the avenue Blasco Ibáñez where there are several University buildings and in the evening there are various clubs like Rumbo 144, Caribbean's and Agenda club. - Cabanyal: is the maritime district characterized by colourful houses with typical tales of fishermen. There are also various organized tours that last 2 hours (with Turiart) to discover this district without missing anything. My favourite place is undoubtedly La Fábrica de Hielo: an alternative venue that gives space to the performances of emerging bands, second-hand markets and exchange of opinions. - The Malvarrosa: is a district that takes its name from the homonymous beach La Malvarrosa (malva is the name of a flower that was cultivated in this space). It is the most famous beach in Valencia close to the Las Arena (where the 5-star Deluxe Hotel Balneario Las Arena is located). It has a length of 1 km and is configured as a wide beach with fine sand, flanked by the long sea, bike path, and various services such as beach volleyball courts, wellness circuit, restaurants, etc. The night between 23rd and 24th of June is celebrated The Night of San Juan. Citizens and visitors gather on the beaches of the "Paseo Maritimo" to spend the shorter evening of the year. Starting at 7 pm on the same day, rivers of people go to the beaches of Malvarrosa and Cabañal, where wood is distributed for free to prepare small bonfires on the sand. Here, there is music and dance alternate with games and auspicious rites, such as, for example, to jump seven waves into the sea: it is said that brings good luck and wealth throughout the year! More fashionable, in the Marina Real Juan Carlos I, is the fabulous Marina Beach Club, the new beach club with a splendid terrace overlooking the Mediterranean. Its restaurant is open all year while during the summer the pool bar is also very popular. On Sundays it is common to have an aperitif here and stay till late because of the DJ music. Other nightclubs: Akuarela and La 3 Club. The avant-garde touch, however, is provided by the spectacular Vela del Vents building which has a cultural and gastronomic offer throughout the year. Also just 10 km from Valencia there is the Natural Park of La Albufera. It is the place where the rice is grown, which is then used to cook the famous Paella Valenciana; it is also a natural paradise for many species of birds. Absolutely not to be missed is the Mateu Restaurant where I ate a delicious paella and various tapas. In short, it is a city where history meets the future: rich in culture and traditions but at the same time it is the place for the youngest to have fun!